Women in the Arts and Media Coalition: Everyone wants to see The Same Difference! THE SAME DIFFERENCE is a unique and compelling documentary about lesbians who discriminate against other lesbians. Selling out show after added on show to queer audiences at film festivals around the country, THE SAME DIFFERENCE is now finally available! Director Nneka Onuorah mixes interviews with celebrities such as Lea DeLaria from Netflix's Orange Is the New Black and actress Felicia "Snoop" Pearson from the critically acclaimed HBO drama The Wire, with members of the community, to shine a light on the relationships and experiences within the queer black female community, intersecting race, gender and sexuality. Onuorah shows how these behaviors reproduce the homophobic oppression and masculine privilege of the straight world, while looking for solutions in compelling discussions with community members. Self-identified studs - and the women who love them - discuss hypocrisy in terms of gender roles, performative expectations, and the silent disciplining that occurs between community members. 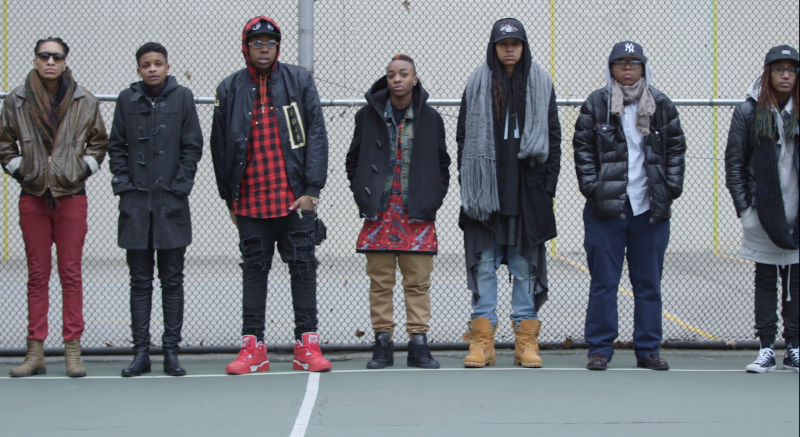 Onuorah's engaging documentary is an in-depth look at the internalized hetero-normative gender roles that have become all too familiar within the African American lesbian and bisexual community, and critically raises questions about gender and gender roles, in which everyone engages. Required viewing for Women's, Gender and Queer Studies. Special Offer on Related Titles! When you purchase THE SAME DIFFERENCE at full price, get any of the following LGBTQIA films for 50% off. * These award winning, groundbreaking films offer unique, insightful, and important stories that are essential in understanding issues of gender and sexuality. *Use code SAMDIFE16 at checkout to apply your discount. Offer applies to institutional orders only. Cannot be combined with any other offer, other exceptions may apply. Offer expires 4/15/2016.